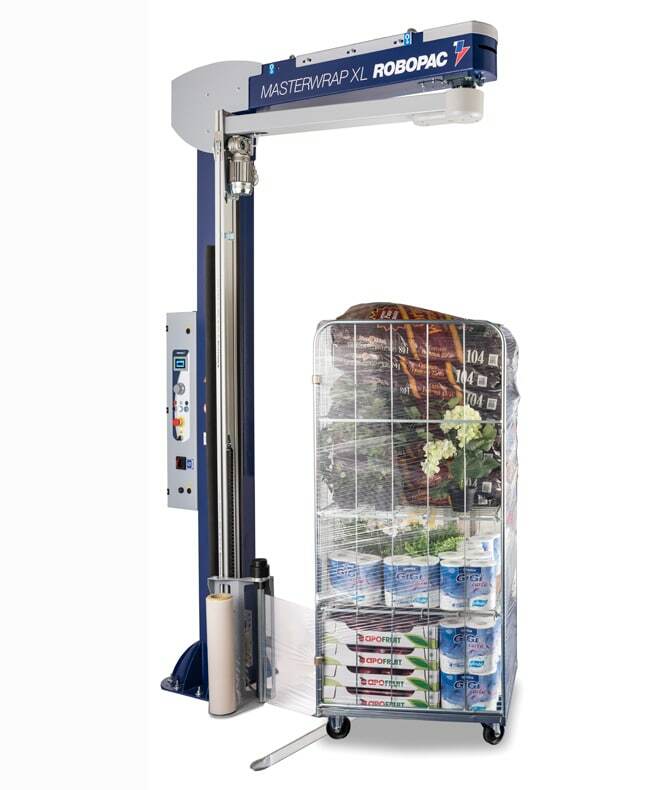 Robopac’s Semi-automatic rotating arm stretch wrapping machine for unstable and heavy products. The new control panel combines the Master Jog Dial with graphic display with intuitive icons to make it easy to set up and to select the correct wrapping parameters for each of your loads. Spool carriage with electromagnetic brake on return roller. Stretch tension adjustable from control panel. The electromagnetic dust brake ensure an high-precision control of the braking torque and don’t emit any polluting material. Maximum product height (mm) 2000 std. 2400 opt.